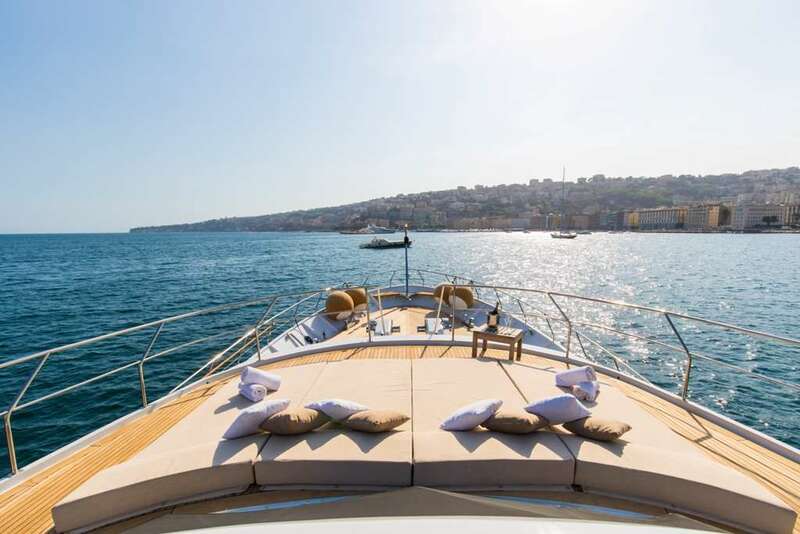 The luxury Motor Yacht 35mt INDIA was built in 1982 by the Italian shipyard Benetti and it has been painstakingly refitted recently (2011-2013-2015). INDIA features the ideal combination of a comfortable and stylish interior and stunning open deck spaces with well designed awnings providing ample shade. The spacious aft deck dining area provides welcome shade for long, leisurely lunches and dinners whilst the yacht's glamorous walk-around deck gives a true feeling of space on board. A custom designed water sports platform offers direct and easy access to the sea from the aft deck. 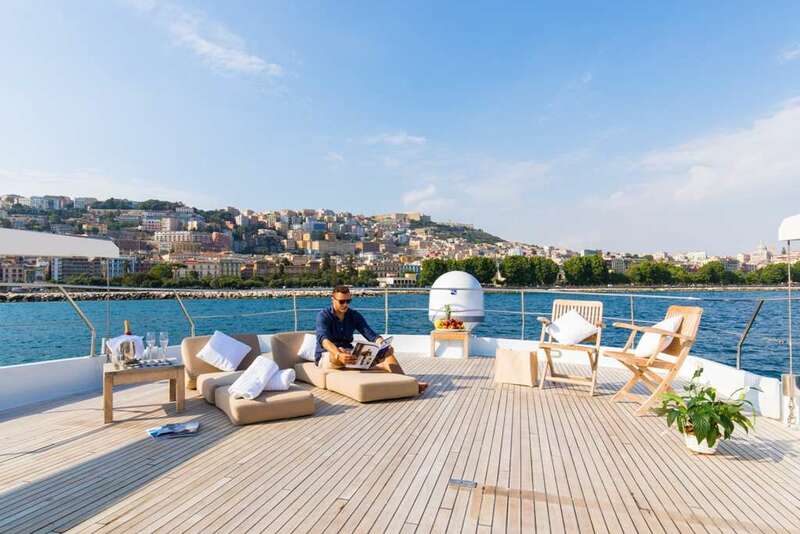 India is a stately yacht that can accommodate up to 10 guests on board with 7 crew members. 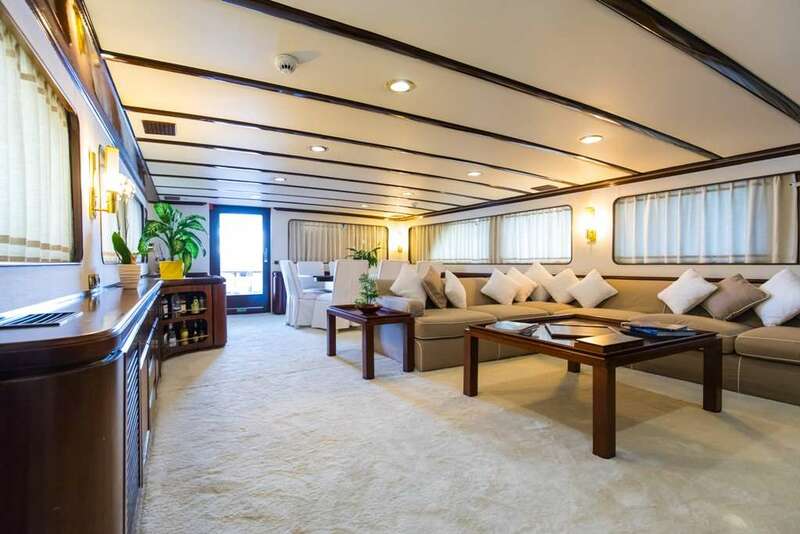 On the main deck India offers a large comfortable saloon with internal dining area and a beautiful full beam owner's suite with private facilities. 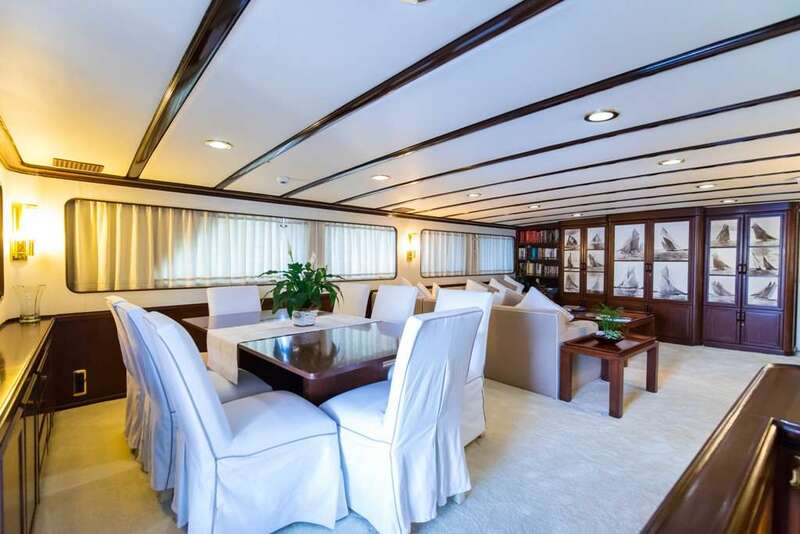 Located on below deck, a stylish full beam VIP en-suite as large as the owner stateroom, and two comfortable twin cabins. 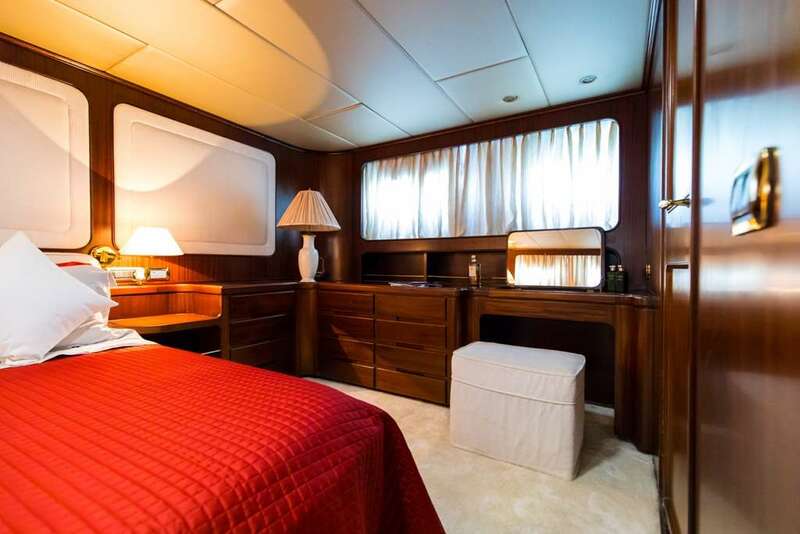 All staterooms are equipped with modern flat-screen televisions, satellite TV and telephone. M/Y INDIA features Vosper underway stabilisers so that her guests will undoubtedly enjoy her sea kindly motion and seaworthiness. 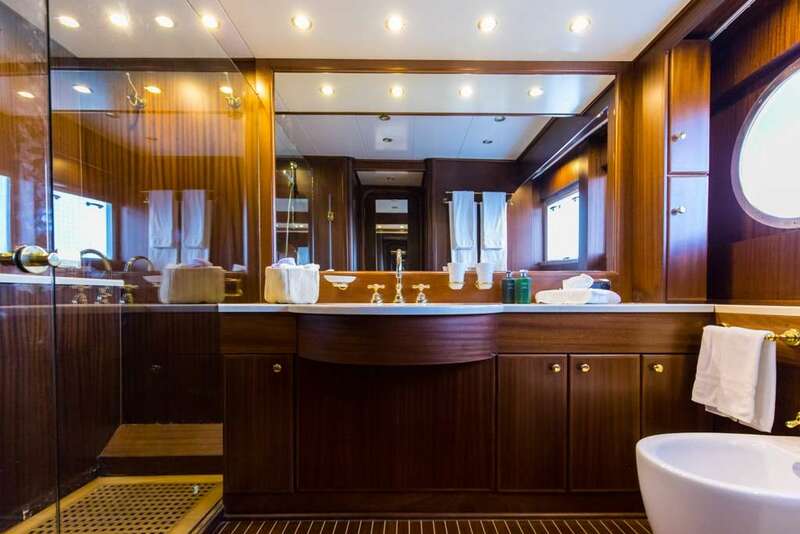 On the main deck India offers a large comfortable saloon with internal dining area and a beautiful full beam owner's suite with private facilities. 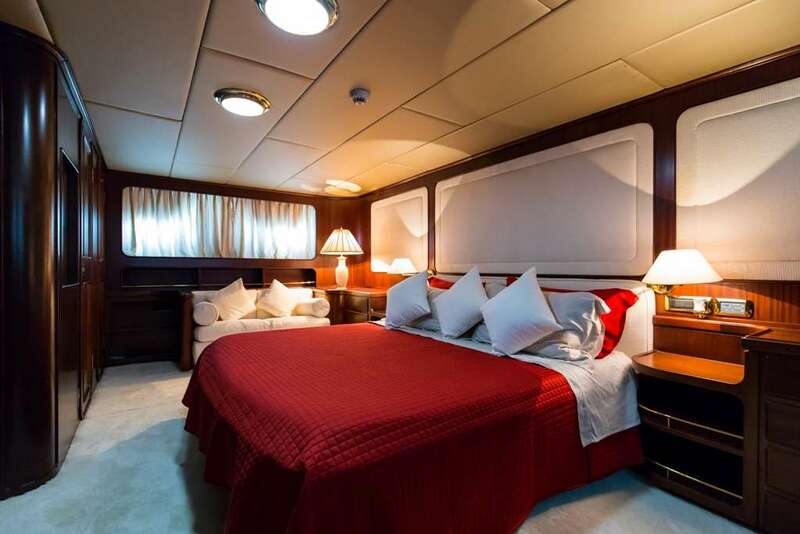 Located on below deck, a stylish full beam VIP en-suite as large as the owner�s stateroom, and two comfortable twin cabins. 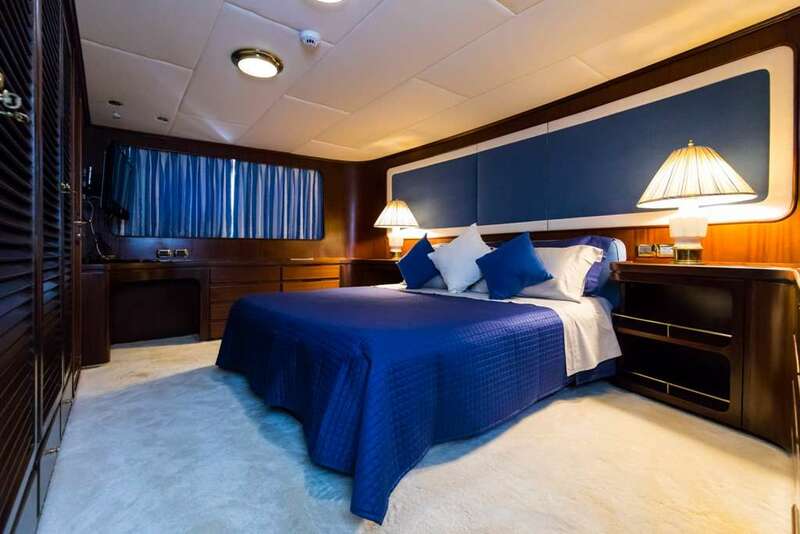 All staterooms are equipped with modern flat-screen televisions, satellite TV and telephone.